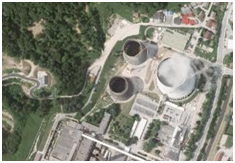 Sostanj, in northern Slovenia, is 30 kilometres (19 miles) from the Austrian border, and home to Termoelektrarna Sostanj (TES)—a lignite-fired power plant—the property of state-owned Holding Slovenske elektrarne (HSE). The plant is presently comprised of five blocks. Blocks 1 and 2, built in the 1950s have been closed down, 3 is about to be, and 4 and 5 are set to close down in 2016. A sixth new, 600-megawatt block is now being planned, known as TES6. It will mainly be financed with public money, mostly through loans from European banks—the European Investment Bank (EIB) and the European Bank for Reconstruction and Development (EBRD). The plant is located in a region with extensive coal reserves, near the Premogovnik Velenje (PV), the Velenje Coal Mine that produces coal exclusively to meet the power plant’s present and future needs. The TES6 Project was proposed in 2003 and included in the 2007 government development programme. It has so far received all relevant permissions from the Slovenian government. The Engineering, Procurement and Construction Contract for the power island was signed between TES and Alstom in June 2008, following a € 25 million payment in September 2007. The Project was originally expected to cost € 700-900 million. However, project costs have escalated to € 1.3 billion due to the recent overall rise in coal plant capital expenses. The Slovenian government has not yet provided loan guarantees to facilitate the loan from EIB, a large part of which—€ 440 million—has to be backed by a state guarantee.